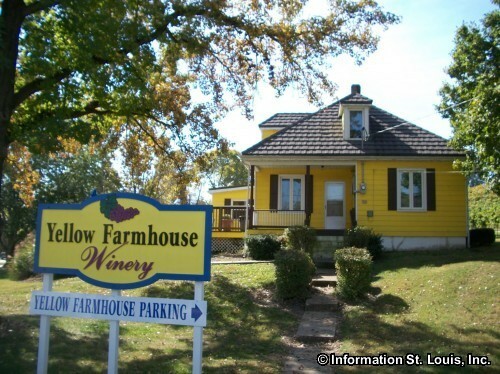 The Yellow Farmhouse Winery is located in Defiance Missouri. It is within site of the Katy Trail Bike trail head. The Yellow Farmhouse Winery grows Norton and Chambourcin grapes in its vineyard and produces red wines from those grapes such as the Norton "Biker Bar Red" and Chambourcin "Missouri Red Table Wine". The winery offers other red and white wines, as well. The Yellow Farmhouse Winery has entertainment on most weekends and offers a a wonderful place for special occasions, weddings or picnic. The wine tasting room is open Friday, Saturday and Sunday 12-5pm Spring through Fall.